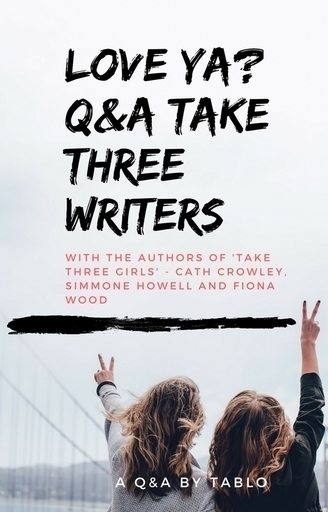 This is a Q&A with award-winning authors Cath Crowley, Simmone Howell and Fiona Wood who recently wrote 'Take Three Girls' together. They share advice on writing and publishing, as well as juicy details about the collaborative writing process on this book. This is an interview with the award-winning, internationally published authors Cath Crowley, Simmone Howell and Fiona Wood. Their new book Take Three Girls is a writing collaboration. With its themes of friendship, feminism, identity and belonging, it is honest, raw and funny, a novel that will strike a chord with young readers everywhere. Why did you decide to write this book together? Fiona: We were already friends who met and talked about our writing. Over a coffee, way back in 2011, one of us suggested we might write something together. We can’t remember who said it, but we immediately liked the idea. We thought it would be fun, a change from our usual solitary work. And it was. Is this the first time the three of you have collaborated? What did you love about the process and what was challenging? Fiona: It’s the first time we three have worked together. Simmone and I have previously worked in TV, which is a collaborative process. Simmone: What I loved about the process: the company! It was great to be able to bounce ideas around, to have three brains working on plot snags. It took us a little while to find a flow but once we all felt like we knew our characters, the story-making aspect felt intuitive. The challenges were in the timing – we all have different processes and had to understand that about each other – but we also had enormous trust in each other so that was a big help. Was there debate about the direction? Fiona: We met and talked throughout the writing of Take Three Girls. Each of us created a character – Cath wrote Kate, Simmone wrote Clem and I wrote Ady – and then we plotted the book and discussed our character arcs together. Debating the merit of various alternative ideas and directions was very much part of our process. Simmone: We raised questions as they arrived. There was never a time when I felt I couldn’t challenge an idea, or suggest a different way in or out of a scene. We each had final call on our characters, and very strong ideas about their personalities and motivations. What are some of the important issues the book deals with? Does teen fiction inevitably have an educational role? Fiona: The book deals with issues such as identity, friendship, feminism and cyber-bullying. Part of our story’s setting is a wellness program that St Hilda’s offers Year Tens to help them deal with the climate of online nastiness and misogyny. 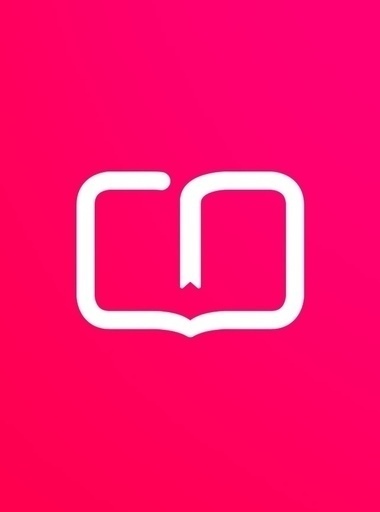 I think education is a natural consequence of connecting with ideas for the first time, and that often typifies the experience of reading as a teenager. I definitely have views and values I want to share with a readership, but I think if you were to set out to educate, that would not be a valid point of departure for writing teen fiction. 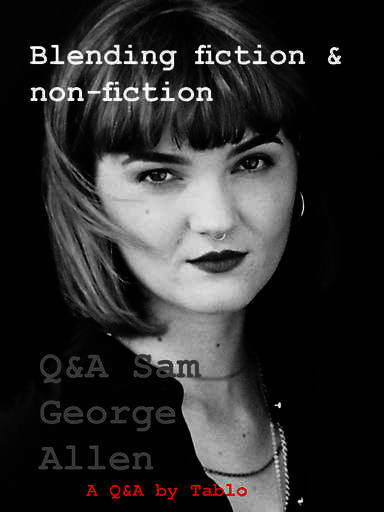 Simmone: I think reading anything is educatonal – but it’s not my aim as a writer. Young people's lives are so full of instruction – I don’t want to add to that! But part of being that age is that you’re learning all the time. In terms of the feminism in the book it was important to show where the girls were learning about it (Ady via her older sister, Clem via the school’s feminist collective) – because it’s unrealistic to think that anyone just arrives at these concepts. But teenagers don’t live in a bubble – we wanted to portray a kind of raising of consciousness about the issue, but not at the expense of story. What’s the secret to writing engaging fiction for teens? Fiona: The main point of difference in writing YA vs writing for other readerships is the age of the characters, particularly the main character. So all the elements that might engage a reader of any age apply, for example, well-conceived and well-developed characters; interesting story and setting; ideas: does the writer have something to say? and style: are they saying it in a compelling or challenging or engaging way. Having said that, I do always ask age-group readers to look at my manuscripts to see if there are any content or language clangers. Simmone: A compelling story. Relatable characters or interesting characters. An authentic world. Who are some of your favourite writers and what have they taught you that’s been useful for your own writing? Fiona: For me, the reading of my teens and early twenties remains the most influential. It was mostly nineteenth century English fiction. I read non-stop and absorbed things to which I still aspire to in my own writing, such as the integration of social and political commentary in a character-driven narrative, and, from my all-time favourite writer, Jane Austen, the joy of reading books written with acuity, lightness, humour and heart. Simmone: I love J.D Salinger’s monologing outsiders, and Truman Capote’s beautiful language. I love writers who concentrate on the small details, who aren’t necessarily trying to say anything big. I love Gavin Lambert and Carson McCullers who write about loneliness and melancholy. I think they’ve taught me that it’s okay to follow your character down whatever weird path they want to take. Why do you think the YA community is particularly engaged online? Fiona: It’s an online age group – both the main YA readerships, the teens and the twenty-somethings, live with online engagement of one form or another. Many YA readers have become active bloggers, vloggers, bookstagrammers, podcasters who enjoy connecting with writers and other members of the YA community. Do you think it’s important for authors to engage online too? What’s the best way to do that? Fiona: I like being online to say thanks for a review, to share an interesting article, or to answer a question. I’m on Twitter and Facebook and Instagram. But I wouldn’t put it as a high priority for writers. I need to prioritise getting off social media and writing the next book. Simmone: I think they should do what they want! Can you please share any writing advice you have for aspiring authors? Fiona: Read observantly. If you love something in a book, reread it and look at how the writer elicits that response from you. Finish a complete draft of work – the real work of writing is often in the rewriting. If you want feedback, join your local writers centre and look out for writers’ groups, workshops, competitions and opportunities to submit work for publication. School-aged writers, look at Write The World, a fabulous global program based in Boston. Older writers, it’s never too late to start writing! Simmone: If you love writing, you’ll find a way to do it. I think the most important thing is to find some writer friends that you trust. Maybe through a writing course, or a movement. Find your people, your community, share your work and skills, you don’t have to do it all solo. Read and connect and say yes and be brave. How do you cope with rejection when you’re starting out? Simmone: Rejection can make you more determined. Publishing is so subjective. There are all these variables. There’s a heap of stuff you can’t control. You’ve got to just pull yourself up and try again. Any suggestions about getting published? Fiona: Never submit an early draft. Send work out when it is as good as you can make it. If you are writing novels, I suggest submitting to agents and seeking representation as a first step. In the YA area, the Text and Ampersand prizes are great ways to get your manuscript read. Simmone: Start small. Remember that ideas are easy but finishing is hard. Look to the paths of writers you admire – I bet all of them had struggles and rejection and missteps and false starts. If you want a career as a writer you have to think of the long game, and what that might look like for you. Early on in my career, I was won a Mentorship through the Australian Society of Authors, and it really gave me momentum and direction –- so I would recommend looking at similar initiatives.